Fast Fix 8 took place in the inner loop of downtown Nashville, TN. 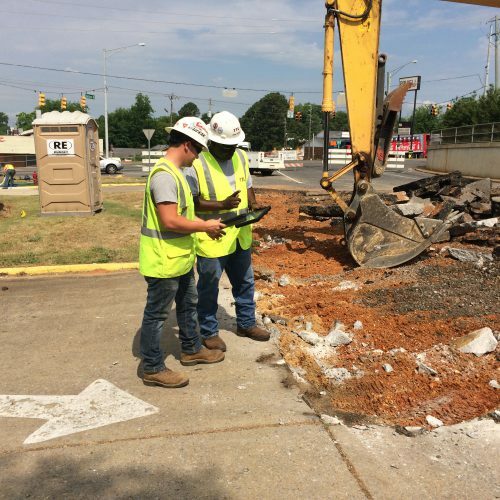 This I-40 bridge rehabilitation consisted of deck replacements and incorporation of mechanically stabilized earth (MSE) retaining wall systems and/or cast-in-place retaining wall systems at the bridges spanning Charlotte Avenue, Jo Johnston Avenue, Clinton Street, and Herman Street. The bridge spanning Herman Street was included in TTL’s scope but the MSE wall option was eliminated at that location. The site was still drilled and design recommendations were made, but no MSE wall was constructed. 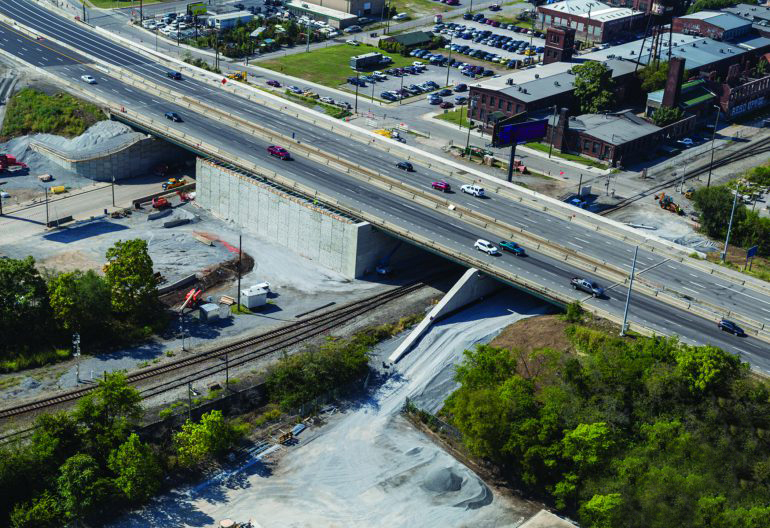 The planned bridge improvements consisted of replacing select existing bridge spans with MSE retaining walls to reduce the area of bridge deck and minimize current and future repairs, while still providing access for automotive, railway, and pedestrian traffic below I-40. The MSE retaining wall backfill serves as a subgrade for Interstate 40. In all, the improvements consisted of six walls at the aforementioned bridge abutments and two walls that encapsulate the area within the three interior bents of the Clinton Street Bridge. 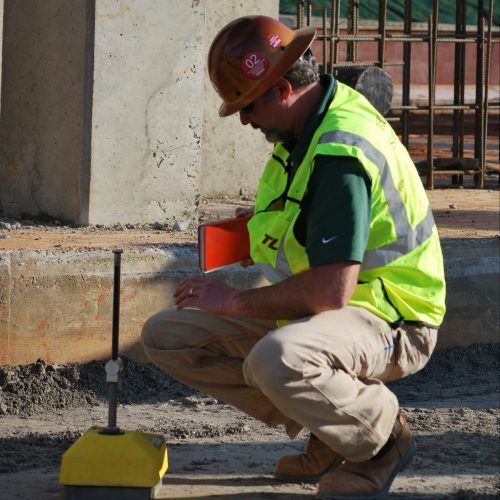 TTL was utilized for geotechnical engineering and construction materials testing for the retaining walls. The geotechnical scope included a geotechnical exploration and report with our findings that included site conditions, geology, exploration results, and conclusions and recommendations relative to design and construction of the planned improvements. 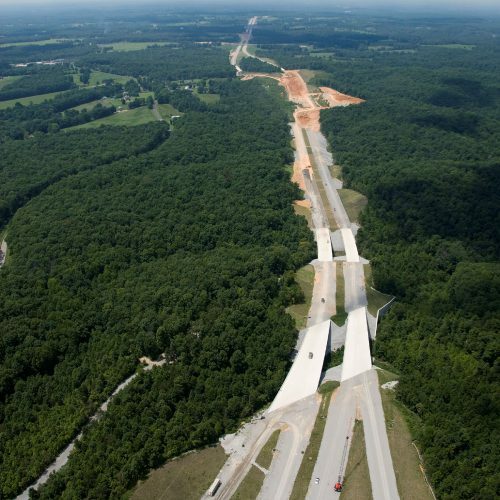 Fast Fix 8 was TDOT’s first Construction Manager/General Contractor (CM/GC) project. CM/GC is a contracting method that involves a contractor in the design and construction phases of the project. The intent is to form a partnership with the owner, designer, and contractor. 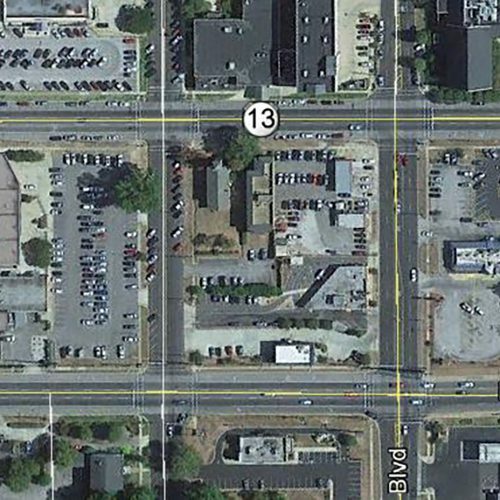 The goals of this partnership are to diminish risk, enhance the construction schedule, streamline the design process, and develop a project within the budget. The project also used an innovative process called Accelerated Bridge Construction (ABC). 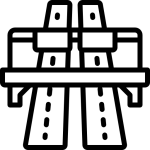 This method allowed prefabrication of bridge decks and other elements of the construction, and reduced roadway closures to ten short weekends instead of three years. TTL’s scope for the project was successfully completed on-time and under budget, as was the entire project. The benefit of CM/GC and the success of Fast Fix 8 have opened the door for future CM/GC projects through TDOT.